In order to go to college you need good grades and financial aid. But due to poverty access to education is difficult and even impossible for many young people in India. Furthermore often they have to help their parents with hard physical work on the fields or they go begging on the streets. There is no time for education or at least there’s no money for it. The future of these young people is often without any perspective. 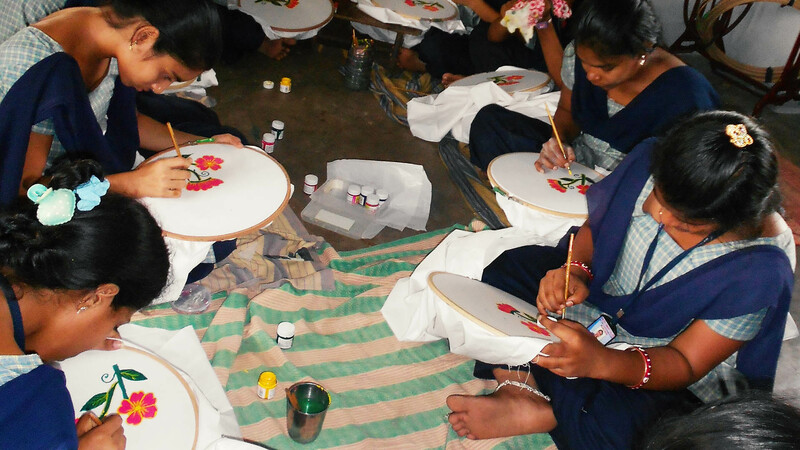 In the training center of our partner “Bridge of Hope” (BoH) in Gotlam which is a small city in the state of Andhra young people from poor families have the chance to get training in the fields of sewing, IT, and electrical engineering. It is nice to see that many of the youth from the close by children’s home “Asha Kiran” switch over to the training center after graduating from their general studies. This way they don’t only have a secure spot in the training center but also a home. All trainees are being fed daily and are receiving their school material for free. Since they are getting a state approved degree there they have good chances to get good work on the job market as well as establish an independent life with dignity. Every child and every youth has their own life story. Through the fellowship and the loving care of the staff members the children can experience comfort and support. They are being encouraged and motivated for a better life with a future. On the campus of Bridge of Hope there is also a children’s home for 70 children, a church with about 300 members, and a hospital called “Shalom Medical Centre” (SMC).